Win a skills coaching session with the CTC and Aston Hill! 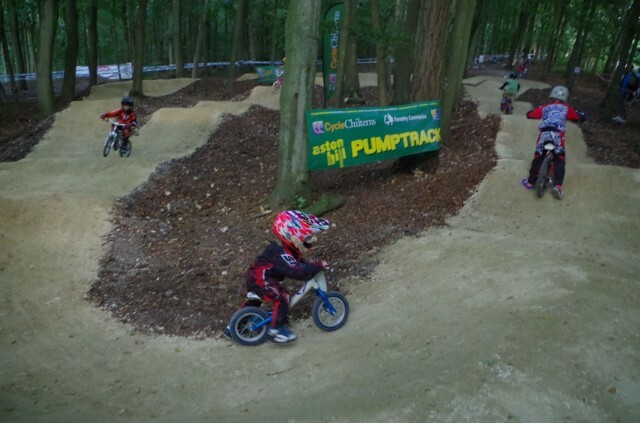 “The CTC’s Cycle Chilterns project is celebrating the opening of the new pumptrack at Aston Hill in Buckinghamshire by giving away some free mountain bike skills sessions for adults and children with Firecrest MTB Training. There are two free group sessions for children in March, dates and booking details are on the website but places are very limited. Mini rippers on the new Aston Hill pumptrack! 2 x 1st prize (1 male, 1 female): a one-to-one coaching session at Aston Hill with Firecrest MTB Training. The session must be taken before 31st October 2014. How long is the Chilterns Cycleway? 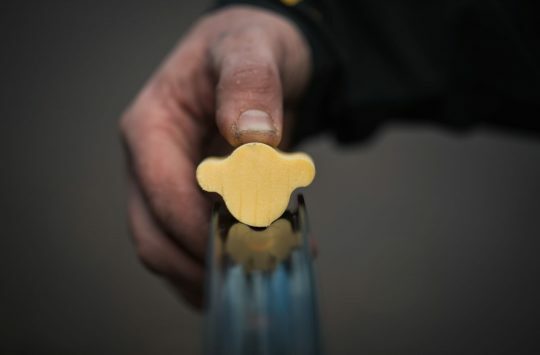 Please email your answer to anothercompetition@singletrackworld.com, with a subject line of ‘CTC skills comp – male‘ (if you are male) and ‘CTC skills comp – female‘ (if you are female). 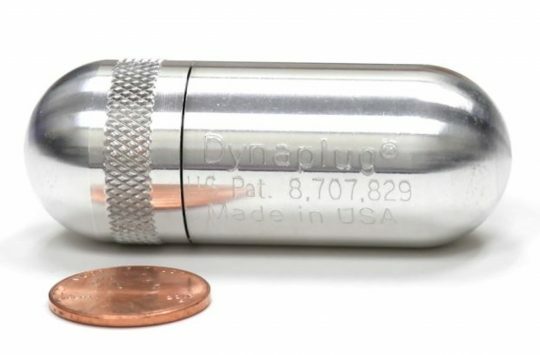 Remember to put your answer in the body of the email! Winners will be picked at random and announced on 28th February 2014. Entrants must be at least 16 years old. The Cycle Chilterns project aims to increase the cycling opportunities within the Chilterns Area of Outstanding Natural Beauty. A number of events and cycling activities are running throughout 2014, and the project is also working to promote on and off-road cycle routes and family cycling areas. As well as the trails at Aston Hill and Wendover, there’s also some fantastic mountain biking to be had on the vast network of bridleways and we’ll be adding a number of mountain bike routes to the website over the coming months. As part of the CTC, the national cycling charity, we work to protect and promote cycling to create a healthier, cleaner world, now and for the future. We want the UK to be a place where it’s easy and safe for people of all ages to cycle, whatever their ability, background or income. Aston Hill: A Potted History. Aston Hill: home of grass and bluebells. 1989 – The BMB Mountain Bike Series takes place in Wendover Woods. 1990 – The final round of the Marin Series takes place in Wendover Woods, attracting some of the UK’s top mountain bikers and putting the venue well and truly on the map. 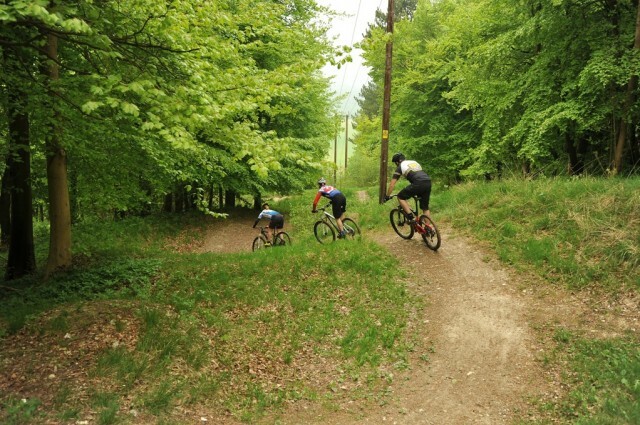 1993 – Mike Warby works with the Forestry Commission to develop a dedicated mountain bike trail on Aston Hill to relieve pressure from mountain bikers in Wendover Woods. 1994 – The Forestry Commission attempts to ban mountain biking from Wendover Woods. 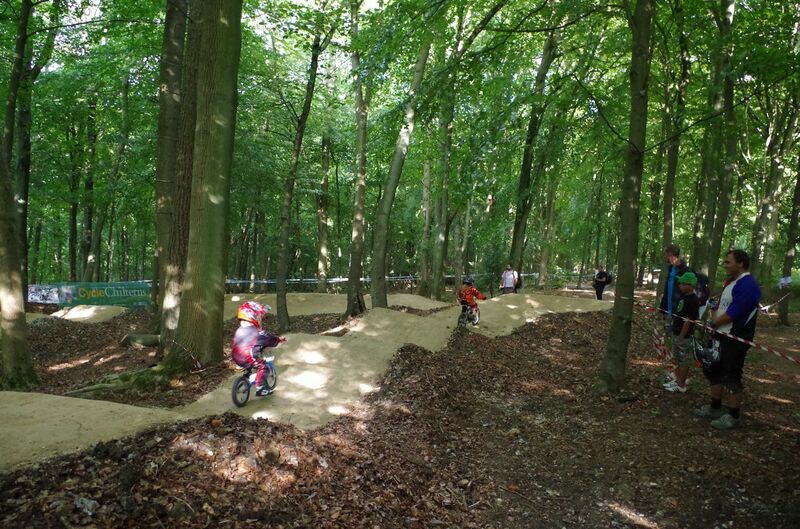 1996 – Ian Warby (Mike’s son) is contacted by the Forestry Commission who are looking for ideas on how to manage the growing issues around mountain biking in Wendover Woods. 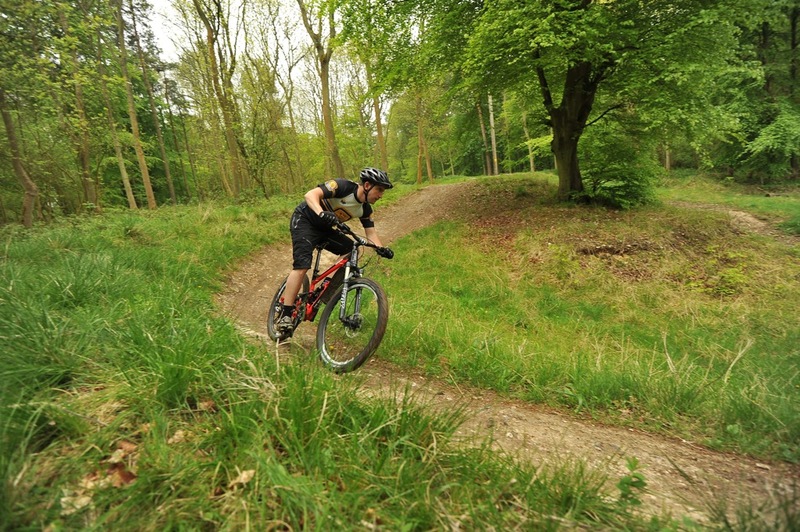 Ian puts together a report outlining the issues and some suggested solutions, including the opportunity to develop the mountain bike trails on Aston Hill removing activity from heavily used, high conflict areas in Wendover Woods. 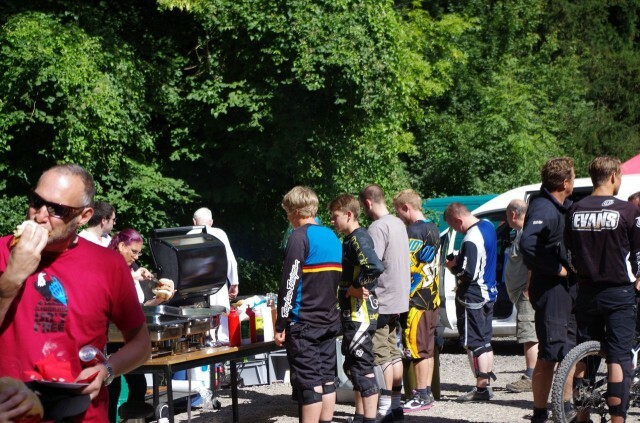 1997 – Stuart Sidebottom attempts to bring the Southern Area Mountain Bike Series (SAMS) to Wendover Woods. Permission is granted but doesn’t go down well with the staff working on the ground. Ian suggests Aston Hill as an alternative venue, comes up with a course proposal for the XC and the development necessary to make the existing downhill trail suitable for racing and the event is a hit. Inspired by this success, Ian approaches the Forestry Commission and asks if he can run the site as a club venue through his business, Firecrest Mountain Bike Racing. The FC is keen to try new ways of managing mountain bike facilities and agrees. 1998 – Ian continues to develop Aston Hill, building more and improving existing trails. 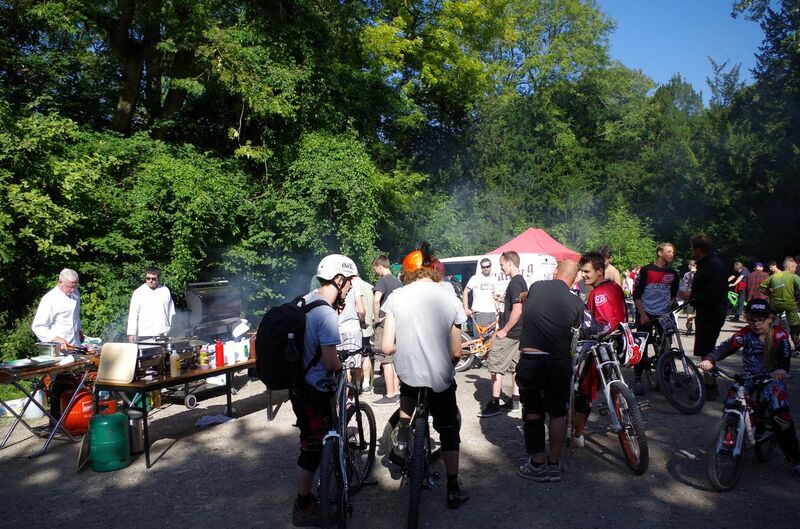 Aston Hill Mountain Bikers (AHMB) attracts 150 members in its first year. The SAMS returns to Aston Hill for a wet weekend. Ian runs his first summer holiday course through Aylesbury Vale District Council (AVDC), giving local youngsters the chance to come for a week of mountain bike activity on Aston Hill. 1999 – Ian builds a new downhill course, nicknamed Project Downhill 3. AHMB grows to 350 members and the trail network continues to develop. Firecrest Mountain Bike Racing becomes Firecrest Mountain Biking and wins Aylesbury Business Awards’ ‘Young Business Person of the Year’ award. 2000 – The Duel Track is added to the trail network. AHMB continues to grow with 450 members. Ian runs another successful program of holiday courses for AVDC and opens up the program to adult riders. Ian also starts a Junior Development (DeVo) program, supporting local rider Jake Saintey. Jake performs well at the opening rounds of the RAV4 Downhill Series but sadly he’s killed in a car crash in May with his best friend and fellow hill regular Matt Court. 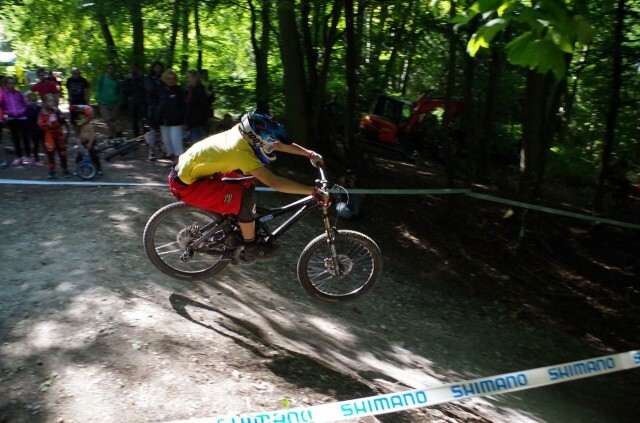 Aston Hill hosts another round of the SAMS series, along with the Pedal Hounds Downhill Series. 2001 – In Jake’s memory the DeVo programme continues to support riders. Riders progress through the popular holiday programs to race on the regional and national downhill and XC circuit supported by Firecrest MTB and Aston Hill. The foot-and-mouth outbreak closes Aston Hill for three weeks, but when the gates are open it’s one of the few places you can ride in the south of England. Membership is boosted and the year ends with 1,200 members. Firecrest Mountain Biking and Aston Hill Mountain Bike Area pick up a Green Apple Award for environmental best practice. 2002 – The popular Duel Course is replaced with a 4X track, ready for a round of the British 4X series. Firecrest’s courses and support program go from strength to strength. The attack on the Twin Towers drives insurance premiums sky high and Ian struggles to find a company willing to take on the liabilities of the hill. Fortunately the reputation of Aston Hill means that it’s well regarded and insurance is found – although the cost wipes out any income made during the foot-and-mouth outbreak. The SAMS series returns, plus a round of the Shred 4X series and Ian signs a five-year lease with the FC through Firecrest Mountain Biking. It’s not all about flying through the air. 2003 – Another busy year for DeVo riders, winning races at home and away. Ian and the team take a group of riders out to Morzine for a training camp, and Aston Hill provides a local DH series. 2004 – The 4X gets a makeover; bigger jumps, bigger berms and the infamous road gap are added to the already popular track. Ian takes a growing contingent of riders out to the Alps for another summer training camp. Work also starts on DH4, sponsored by Ultimate Pursuits. 2005 – With the addition of more trails and bigger and better trail features, Ian develops Firecrest MTB ‘Jumps and Drops’ course. It’s another winning year for the DeVo team with wins at local, regional and national level. Ian’s awarded Bucks Sport Coach of the Year award and receives a special recognition award from British Cycling for mountain bike skills coaching. 2006 – With 12 months to the end of Ian’s lease he meets with the Forestry Commission to discuss the future. He’s offered a 10-year extension, but with a number of changes to the current agreement. Ian applies for the new role of Mountain Bike Development Officer at the CTC, gets the job and starts his new role in May, balancing his new job with existing responsibilities on Aston Hill as he prepares to hand it over to new owners. 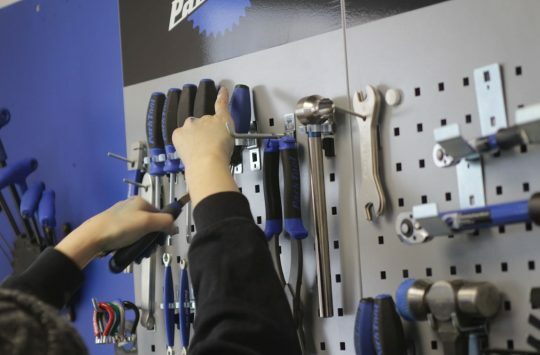 2007 – A local bike shop is successful in securing the lease and takes on the opportunity to provide cycle hire in Wendover Woods. Firecrest Mountain Biking finishes on Aston Hill in March but Ian continues to offer skills courses in partnership with the new owners. 2008 – The transition to the new owners isn’t going as well as anticipated and the new lease agreements are still not in place. Negotiations cease and Aston Hill is closed by the Forestry Commission until new owners can be found. Aston Hill Mountain Bike Club is formed by Richard Abbott to enable Aston Hill to reopen. 2009 – The Forestry Commission are keen to find a long term strategy for the management of Aston Hill and Ian Warby suggests that CTC could take on the lease and run the hill in partnership with AHMBC. Out on the hill, ‘4,2,3’ arrives – a new technical downhill trail, which is used for a race in September. 2010 – The CTC/AHMBC partnership builds on the first year, with two two well-received downhill races. The Trail Build Volunteers are set up to look after the trails and lots of hours are spent getting the trail network back into shape. 2011 – The Trail Build Volunteers start work on Surface to Air, Aston Hill’s first surfaced trail inspired by the trails of Whistler. The Aston Hill Race team returns, competing in local, regional and national events. Two more races are run and both of them sell out in advance. 2012 – The Trail Build Volunteers complete Surface to Air and build a new start ramp at the top of the hill. 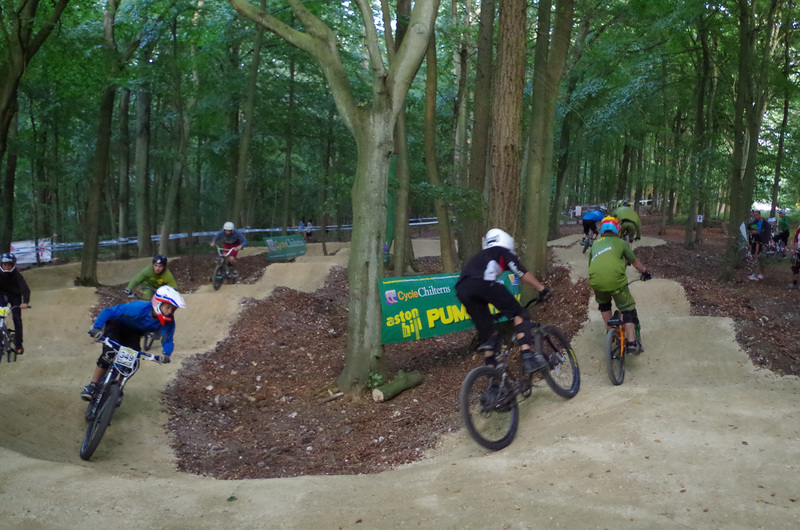 2013 – Cycle Chilterns funds the build of Aston Hill’s new pumptrack. The Aston Hill Race team wins downhill races at local, regional and national level. Firecrest Mountain Biking continues to run mountain bike skills courses on Aston Hill, working with riders of all ages and abilities from beginners through to World Cup regulars in downhill and cross-country. …while those who are old enough to know better kick back with a burger. Thanks to Sara Randle (Cycle Chilterns), Steve Makin and Ian Warby (CTC) for their help with words and pictures.